When Closer Musik announced their break up in 2003, it was massively disappointing news. What they displayed on their fantastic "After love" album was nothing less than a groundbreaking piece of minimal music, that's lost none of its fascination and charm to this day. Classics like "1, 2, 3...no gravity", "You don´t know me" or "Maria" add a necessary dose of human warmth to techno, allusions to jazz and machine soul elements and are still amongst the most played on Kompakt. 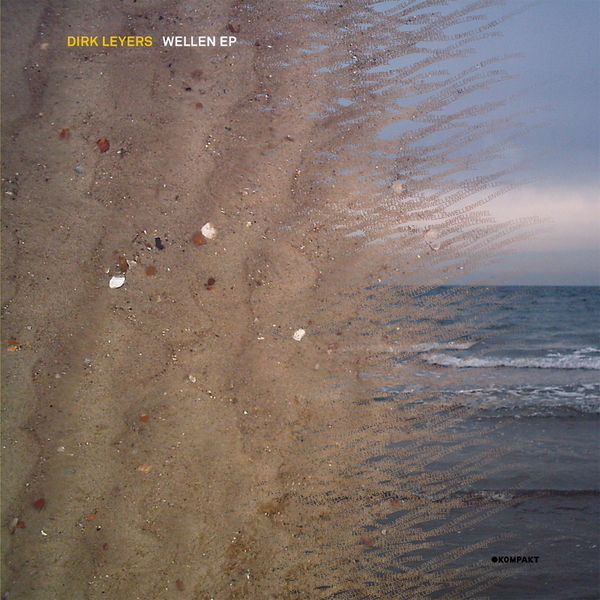 We're very happy to announce the comeback of both members of closer musik this year: on the deck and doing it for us right now we have Dirk Leyers "Wellen ep", Matias Aguayo will follow up in the weeks to come with his sensual inversions of Michael Mayers "Lovefood" drawn from the 'Touch' album . The "Wellen ep" appears in the tried and tested Kompakt format - three tracks, twice with bassdrum, once without. The title track impresses with a seismic bassline, dropping well deployed bleeps for some thankful, ice cool soul. The ambient theme of 'Come to where I go', is thoughful and well-crafted enough for us lovers of the Swod/Dictaphone sound and lends a hugely impressive added dimension, to this extraordinary twelve. "New serious one" is a 12 minutes epoch of a track, constantly building, taking us to places we always imagined someone like Luciano could, only Dirk's weidling some garrulous, insatiable square bass riffing - at the end, it actually sounds like Leyers has patiently replayed and remade the strings from the acknowledged all-time clubbing staple - Massive Attack's 'Unfinished Sympathy'. But this is no idle minded rip off, this is bona-fide ready-made, all year long and for many to come, minimal anthem - a 'film noir' directed for all purpose club use. Welcome back, Dirk Leyers. Killer.